Forget bog standard bacon and sausages, porky pop-up Oink celebrates the many facets of the resplendent pig with some delicious swine dining. Launched by James Purdie, who had an ongoing craving for pork while living in Dubai, the weekend residence at Crisis Café, Shoreditch encourages communal dining with shareable starter plates and dig-in main dishes, all with pork as the main feature. 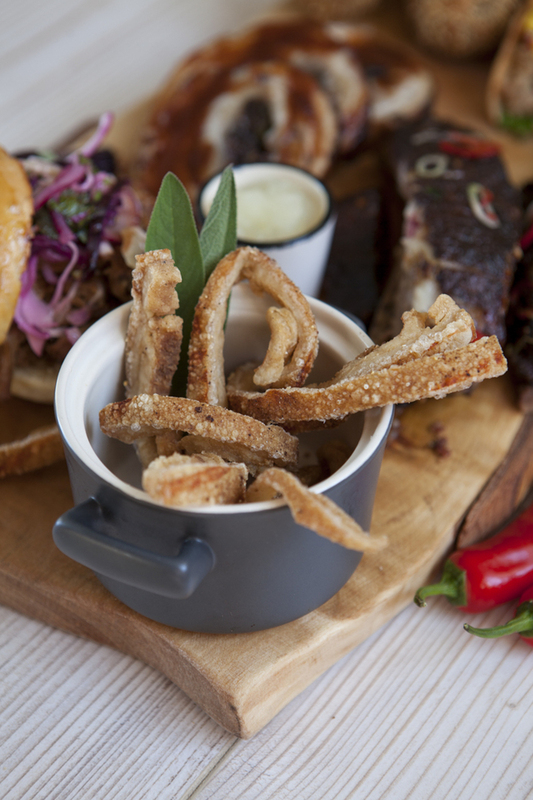 Guests can expect dishes such as pig's cheek and black pudding nuggets, crispy shredded pig's ear, pulled pork shoulder, and sweet and sour glazed chilli ribs. Drinks include real ciders, craft beers and a selection of wines. What are the best dining options near Oink Swine Dining London? Oink Swine Dining gyms, sporting activities, health & beauty and fitness. The best pubs near London Oink Swine Dining. Oink Swine Dining clubs, bars, cabaret nights, casinos and interesting nightlife. Where to have your meeting, conference, exhibition, private dining or training course near Oink Swine Dining. From cheap budget places to stay to luxury 5 star suites see our deals for Crisis Cafe hotels, including 196 Bishopsgate Serviced Apartments from 85% off.